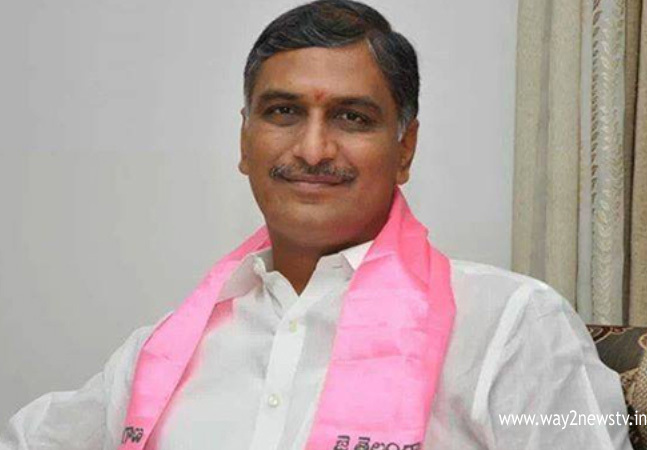 Irrigation Minister Harish Rao said, "Redeeming projects has been done in order to help the tune of Rs. During Question Hour in the Assembly on Wednesday, Harish Rao said, "KCR projects have been designed with the intention of greening Telangana. The lives of the victims and the KCR have won Telangana state. Redeeming projects for state purposes only. We claim that we will get every sponge water that we deserve. Nightclubs are struggling to finish the barrages at record time. Every project is based on DPR and the DPR projects has also been handed over to the central government. The minister said that the Mobilization Advances and EPC have been canceled since they came to power. Congress leaders are campaigning against Goebbels to make projects without DPR. There are no new projects in the state. Farmers' suicides will be annulled and the projects are being completed in a hurry to give water to each constituency. Opposing the opposition are making unnecessary accusations for political gain. Harish Rao made it clear that the people's aspirations are important to the TSR government. Minister Harish rao said that the Center gave all the permits to the Kaleswara Project to be implemented by the CM KCR re-engineering. The Congress party had been designing the Pranahitha-Kala in 2007 and asked why did not bring permits till 2014. The Center has given permission for water availability with recycling. Project re-designing has been done as needed. The state government is working with the integrity to complete projects. CM KCR's strategic deal with Maharashtra and one financial clearance is to come. BJP members are forced to put pressure on the Center for the national status of the Kaleshwaram project. If the Palamuru project is not constructed, the Telangana government will make a historic mistake. If this project is completed, they will do justice to future generations. The project is being built on the basis of the allocation of Krishna waters.